Pyramid Mountain is on of my favorite hikes. It is located on the ridge that is on the west side of Lake Chelan. The site of an old lookout, this is one of the few 8000+ ft mountain tops in Washington that can be reached by trail. Grand views in all directions are the reward for your effort. 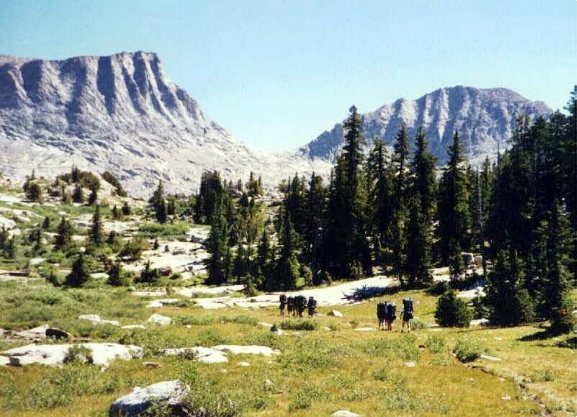 We didn't have a lot of time for a hike because of our Wyoming trip later in the month, so we were limited to a four night/five day trip. 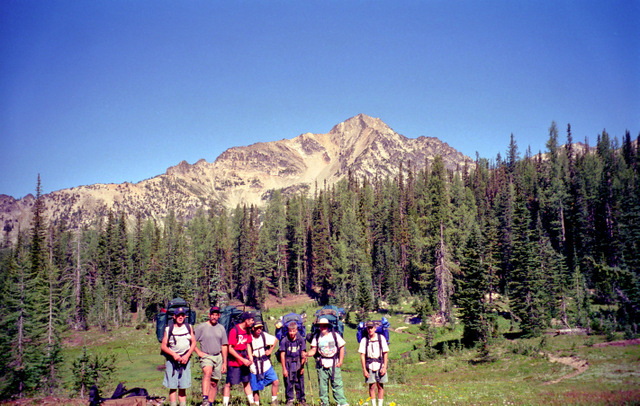 Our initial plan was to start at Big Hill and come out at the North Fork of the Entiat. Unfortunately, when we go to the turnoff to Shady Gap and Big Hill, there was a sheriff's car sitting there enforcing a road closure due to a forest fire. I figured out that we could do a loop trip from the N. Fork Entiat trailhead by using the little used Butte Creek trail. It would mean a lot more elevation gain for the trip to do it that way, but our options were limited. In the years since 1998, there have been several forest fires that have burned over some sections of the route described here. These are primarily along the NF Entiat trail and SF Pyramid Cr Trail.